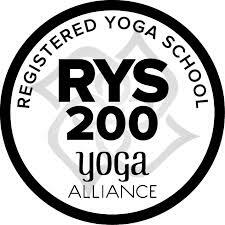 Ambassador Yoga gives you everything you need to offer an entire 200 Hour Yoga Teacher Training! Save yourself years writing manuals, getting your school approved by Yoga Alliance, and planning Lesson Plans for your 200 Hour Training. With Ambassador Yoga you can have your own Registered Yoga School up and running on Yoga Alliance and start your Teacher Training in as little as 30 days. This NEW 5 PART LIVE WEBINAR Program will give you guidance and support to get set up, in real time, for a September launch. With these 5 live webinars , one per month, you’ll be part of a group of Experienced Yoga Teachers from around the world, all working to lauch their yoga teacher training with Ambassador Yoga. And More. . . Plus we’ll share our Essential Business Procedures for a seamless intake for your students, our lessons learned, and tips from others in the program to support you and help you launch your Yoga Teacher Training. This is also an opportunity to make your initial investment in 5 installments (1 x month April – August 2019) instead of upfront at once. Be sure to watch to the end of the Webinar for details and register using the link below. How can Ambassador can help you Launch your Yoga Teacher Training in September? This preview webinar reviews the Ambassador Yoga 200 Hour Training and the Launch in September Program. If you need more information, it will help you decide if this is the right program for you. Registration Now Open – Sign up Today! 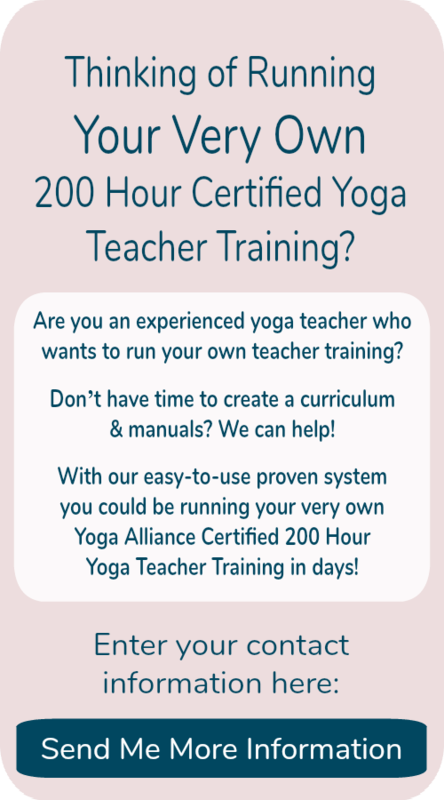 If you qualify with Yoga Alliance as a Lead Trainer, you can work with Ambassador Yoga to start your 200 Hour Teacher Training. Who Qualifies as a Lead Trainer? With these qualifications, you qualify as a Lead Trainer with Yoga Alliance and can start Training your students with the Ambassador Yoga program. Let’s talk about how to fast track to becoming a Yoga Teacher Trainer with Ambassador Yoga. Ambassador Yoga is now taking applicants for the Trainer program for yoga teachers who want to run a 200 Hour Yoga Teacher Training. a meeting of hearts and minds to see if we have a fit! If you meet these qualifications and are interested in getting on the fast track to teaching a 200 Hour Yoga Teacher Training contact us for a free consultation on becoming a Yoga Teacher Trainer, fill in the form below and we will email you the information on how you can run a profitable 200 Hour Yoga Teacher Training including formats, costs and case studies of other successful yoga teachers. All the costs and details are in the Trainer Fast-Track Information Package that you can download by filling in your info. The base start-up cost to become an Ambassador Yoga Trainer is $7,500 Canadian (paid in 5 x $1500 installments). Be sure to use a local currency converter to find out the rate in your currency. Our current Trainers recovered these costs with 3-6 students in their first teacher training. Your other costs include fees paid to Yoga Alliance, your Ambassador license, other trainers you may choose to hire to teach in your RYS (optional), manual printing, and rental fees, etc. Find out more in the information package you receive by providing your information here or on the form below. Why start a Yoga Teacher Training? At Ambassador Yoga we believe yoga is an anchor that helps people stay stable in a stressed out world. There are a lot of people who need yoga in their lives! Yoga teachers bring joy and peace to all kinds of settings and one teacher cannot do it all. The next phase of your Yoga Teacher journey is here. Just think of how your career will change as a Trainer!